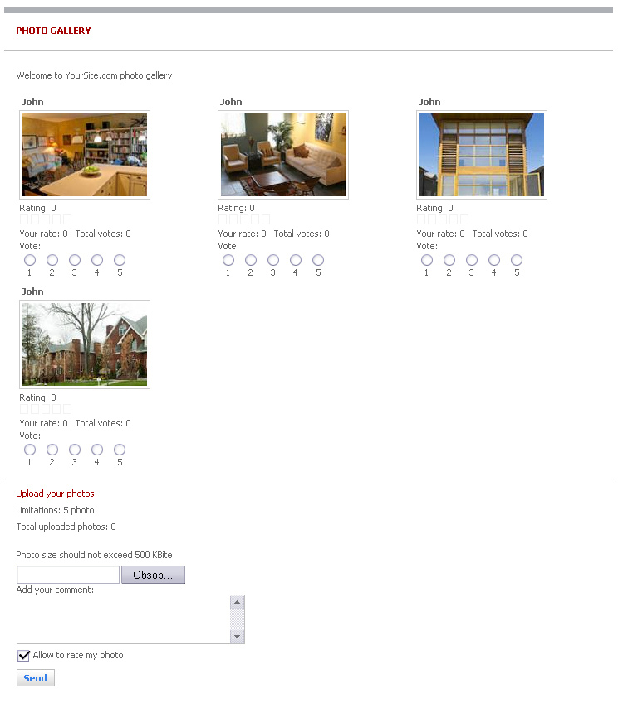 Photo gallery is a tool available for those who are looking for a roommate only and supports better site communications. You can upload up to 5 photos here. If you want other members to rate your photos just leave a tick in “Allow to rate my photo” area. To rate other photos just leave a tick in suitable rate mark.